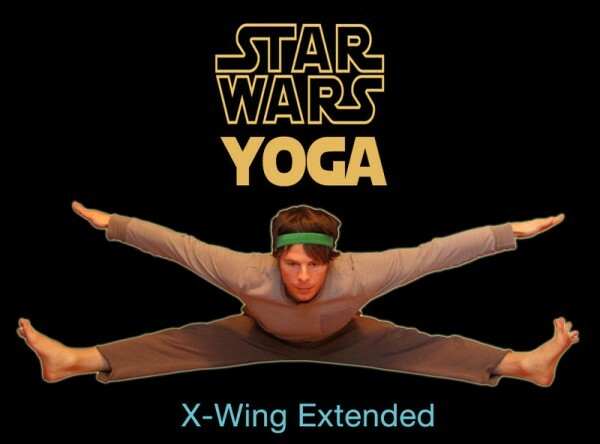 Check out this excellent star wars yoga set! In a previous post I discussed the analogy of chi and love. Following a conversation I had recently, I was reminded of this analogy and thought I would spend some time to elaborate on it, as I find it to be quite powerful. The nature of what chi is, is a fundamental question that arises when anyone studies Chinese martial arts or more generally eastern mind-body practices. The standard stereotypical explanation (and hence the one that someone new to tai chi will implicitly understand) is that chi is a mystical energy. Tragically there are huge numbers of people who perpetuate the myth that chi is an "energy that science can't explain", or even in extreme cases that there is some “conspiracy to suppress the truth of it”. I suspect there are a far larger number of people who are sceptical of this position, and try as they might to believe with an open mind, can't shake their doubts. I believe that by considering the analogy that chi is like love, it becomes obvious which questions are meaningless and enlightens us all, validating both the scientific and the spiritual viewpoints. The approach is simple, replace all instances of the word chi with the word love and check yourself whether what you are saying or asking still makes sense. The point here is that "love" is a universally accepted concept. We all understand what it means to love somebody. We all understand what it means to love something. We all understand that each of our concepts of love can be individually different. Love is not controversial in the way chi is. We all understand that there are a myriad of different types of love (for a group, for a person, for an ideal, for an object, for an action etc) and that there are hundreds of different ways we use the word love in different contexts to describe different meanings. We also all understand that love is not a physical quantity. You cannot hold a kilogram of love in your hand (or have 100 Calories of love, or 100 mph of love etc). You cannot measure it or point to it, you can only feel it inside yourself. It is something internal (a feeling and an emotion) that manifests itself by your actions and guides your behaviour. Nevertheless, it is a powerful force and we can cultivate love inside us, share it, transmit it, understand it, communicate it. Love does not "exist", but we make liberal use of it in our everyday lives. So now let me rewrite that paragraph replacing the concept of love with that of chi. We need to understand that there are a myriad of different types of chi (how our body feels, how we can feel another's body, how we can use an object) and there are hundreds of different ways we can use the word chi in different contexts to describe different meanings. We also need to understand that chi is not a physical quantity. You cannot hold a kilogram of chi in your hand (or have 100 Calories of chi, or 100 mph of chi etc). You cannot measure it or point to it, you can only feel it inside yourself. It is something internal (a feeling and an emotion) that manifests itself by your actions and guides your behaviour. Nevertheless, it is a powerful force and we can cultivate chi inside us, share it, transmit it, understand it, communicate it. Chi does not "exist", but we can make liberal use of it in our everyday lives. Chi is a tool for communicating how our body feels. When we discuss things like the “flow of chi” and “sinking the chi” these are communication tools for describing how to unlock feelings within yourself, how to better control and align your body. The analogous way for love is that someone might go to a therapist or psychiatrist who could teach them how to release hatred and develop their ability to feel love and express love. The thearpist might talk in terms of love and feels, giving the patient techniques to enhance it or patterns to recognise. We are using chi and love as communication tools to explain internal feelings. Tools to transmit understand between people. We need to search for the feeling inside ourselves by "building our own telescopes". Can I knock someone over using chi? Can you knock someone over using love? Only in a metaphorical sense, instead you use the feeling inside that you have cultivated (structure, using your weight etc) to guide your actions. Is it the chi energy force that knock them over - no. Can I transmit chi across the room? Can I transmit love across the room? Again only in a metaphorical sense. Someone with years of martial arts training who has “cultivated their chi”, can indeed elicit an effect on someone else across the room (fear for example), simply by their body language and bearing. In some sense therefore you can but it is not a transmission of chi energy force. In summary then when we discuss chi we need to be clear that it is a language of communicating a feeling inside our bodies. It is a communication tool and so if we wish to change the language of the communication that is our choice and we lose none of the benefits. I can use the word "love" in English or “amour” in French, which although may have different nuances convey the essence of the idea. Similarly I can talk about tai chi in terms of Chinese Meridians and energy flow, or I can talk about structural alignment and biomechanics, different nuances but the same idea. Chi of course is the language which the traditional teachings are written in so makes sense to try and understand it (even if you internally translate it) to gain some of the wisdom. There is a great deal of similarity between learning tai chi and learning science. Both science and tai chi are based on the principles of understanding building blocks that are common across multiple different applications and situations. 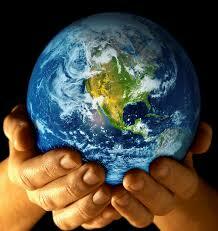 Science is based on searching for simple rules that govern how the world works. Simple rules like multiplication and mathematics at a low level, or things like conservation of energy or evolution that appear again and again in different situations. It doesn't matter whether you are talking about planets and galaxies or car engines, the principles are the same, and if you understand them, you can see the patterns. Tai chi is the same. It is made up of a few fundamental movements and principles that are applied over and over again. Although when we first learn it seems complicated with all sorts of different movements, as we progress we see the same pattern is emerging again and again. We see that movement X is just like movement Y. Movement Y is an exact repeat of movement Z, only now my arms are slightly further apart. We are hunting continuously for the grand unified theory of tai chi. This is why Masters of tai chi who have been studying the decades, emphasise the basics: standing and foundation exercises. They do not worry about exotic forms because they know that if you get the fundamentals and basics correct, you understand the core principles, and then everything else is trivial. So it is the same with science. People do not try to understand every single car or every single planet. Scientists realise that they are all governed by simple rules and interactions. Every time one things happens another things happen, it doesn't matter whether it is a bus or a formula 1 car, the principle is the same once you understand how the system works. Both science and tai chi are also searching for the most simple explanation. The joy is being able to suddenly unlock a secret which shows you that two different phenomenon are in fact the same. You didn't really understand why two things were connected before, but as soon as you understand the rule, it all makes sense. Tai chi and science are both on the same quest to uncover the core principles. And to use one of my favourite quotes "if you can't explain it simply you don't understand it". in our own bodies for ourselves. Feeling is understanding. And feeling only comes with practice.